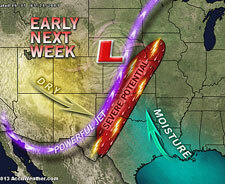 Deyo 24 News http://50.56.203.236 ~ Severe Potential Storm Forecast [map above] into the Memorial Day weekend http://www.accuweather.com …………………. Lou Dobbs on Fox Business News http://www.foxnews.com ~ reporting and warning Hezbollah & Syrian Government forces advancing in border towns held by rebel forces. Brad Thor http://www.bradthor.com is one of the great political/end-time writers with the HIT thriller just turned paperback “Black List” http://www.amazon.com and even now on the shelf at local Wal-Marts……………….. Recently, Stan Deyo reported exclusively on Hagmann & Hagmann Radio Show that the SUN ~ is changing it’s nuclear chemistry! 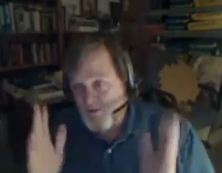 Permanent LINK to show [Deyo 2nd hour] http://www.blogtalkradio.com/cfp-radio/2013/05/24/the-hagmann-hagmann-report .. Author Daniel Holdings http://www.danielholdings.com ~ Daniel has re-vamped his website and has a daily BLOG located on that page, including, of all things, a section for Larry Taylor data ~ take a look……http://www.danielholdings.com ………………. 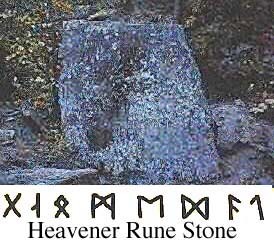 Heavener, Oklahoma so-called “runestone” rock located in the Heavener Park site….. 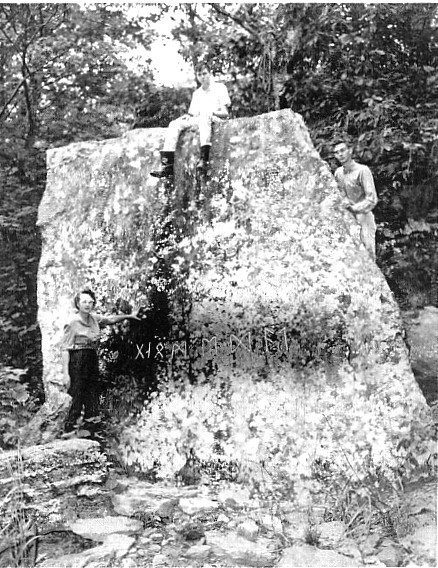 Some have asked me how big was the Heavener Oklahoma Runestone Rock…???? So, here is an image [see above] with people on the rock before they built a protective building around the rock to protect it…………………………………………….. I recently have done more research at Heavener, Oklahoma in the lower area with the ROCK and detected “electromagnetic field” operating there that day! Went to the cemeteries today. Fewer and fewer folks visiting or leaving flowers on graves, and fewer and fewer homeowners displaying flags than ever before…And a Happy Memorial Day to you! I’ve noticed this too. Memorial Day has become corrupted by “fun/sun seekers”. We are living in the times Paul warned Timothy about. People only care about their own little world. This is why we see magazines called “ALL YOU”, and beauty shops named “All About You”. It’s the big ” I ” and “little” everyone else. We seem to have lost all respect for the living, the dead, and worse of all, the Living GOD. Very sad. I come from a family of veterans who date back to a wounded civil war soldier, WWI hero, WWII hero’s, Korean War, Vietnam era. My son, daughter, son-in-law – all Navy vets. Happy Memorial Day to all who pause and give reflection on what our loved ones gave service for. Many would be horrified if they could see how low this once great country of ours has sank. I love Daniel Holdings website. The Larry Taylor corner is also worth a look. Shalom to all! Amen Dolores! My son, daughter, and one little granddaughter made all the trips to our family cemeteries yesterday afternoon. People say they think that is morbid or crazy!! We are carrying on a long family tradition! Many Veterans in our family, including my late husband!! 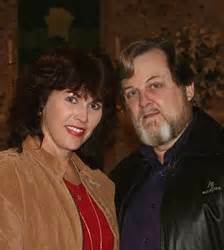 We give thanks to them and glory to God who is always with us!!!! Yes, this is no longer the America I grew up in!! Sadly, we have pushed God out of almost everything!! We, I believe will see Jesus very soon!! Special blessings and thanks to you Larry for all you do to keep us informed.